Kristy Carter is the Executive Director for the Division of Outreach and Community Engagement at the University of Central Arkansas (UCA). She started her career in higher education as a program coordinator for Outreach in 2006. As Executive Director, Kristy provides leadership to connect the campus with the community through a variety of community engagement services offered through the university. Before UCA, Kristy was a business teacher for the Arkansas Department of Education’s Distance Learning Center in Maumelle. She earned a Master of Arts degree in Higher Education Administration from the University of Arkansas at Little Rock and is currently a doctoral student in the Interdisciplinary PhD in Leadership at UCA. Kristy is an Executive Board Member for both the Arkansas Distance Learning Association and Arkansas Council for Women in Higher Education (ACWHE). As President of ACWHE, she increased membership to nearly 500 and raised funds to support the organization’s fiscal health. 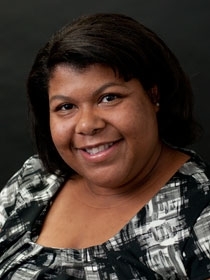 Now, Kristy is the state coordinator for the national office for Women in Higher Education out of Washington, D.C. In addition, she serves on the Business Advisory Council for Central Baptist College in Conway and is a member of the Arkansas Community Development Society. Kristy is a mentor for multicultural students at UCA. She served as a UCA Staff Senator and was nominated for UCA Employee of the year. She also volunteers her time and talents to minority small business owners and entrepreneurs and nonprofit organizations on rebranding and marketing initiatives. Kristy is a native Arkansan and currently resides in Conway with her husband, Therman, and daughter, Armani. Damond often tells people that he developed largely out of four pivotal environments: the Country, the Church, the Projects, and the Academy. His education includes: Post-Graduate Clinical Pastoral Education at University of Arkansas for Medical Sciences, a Master of Divinity from Eden Theological Seminary, and General Studies at University of Nebraska at Omaha. He is a Board Certified Clinically Trained Minister, Clinical Chaplain, and Pastoral Counselor. Damond’s employment history includes: Conway Regional Hospital, Faith United Church of Christ, Trinity Outreach Center, Youth Care and Beyond, TD Ameritrade, The Salvation Army, AFLAC, Christ Urban Ministry Center and Christian Open Door Church. Among his community service involvements are: Conway Cradle Care, The Living Affected Corp., Lessie Bates Davis Neighborhood House, Nebraska AIDS Project, and His Way Homes. Some of his professional leadership initiatives include: starting a tutoring service for children in Jackson, MS; founding a mentoring program for children and youth in Crystal Springs, MS; implementing an intercultural outreach program for inner city youth and co-coordinating an outreach program for Sudanese refugees in Omaha, NE; starting a Hip-Hop Church/Ministry in East Saint Louis, IL; and forging an opening and affirming spiritual community for LGBT and HIV positive citizens in Little Rock, AR. 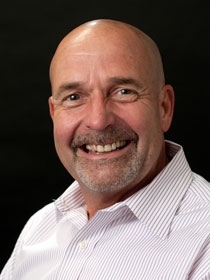 While trained in counseling, Craig’s professional experience includes grant development and administrative roles in rehabilitation services, community corrections, and community and economic development. Craig currently serves as City Manager for Lindale, Texas. He also maintains a private consulting practice assisting cities, nonprofits, and businesses with grant development and community and economic development. Craig’s passions include leadership, planning, and problem solving. Craig’s research interests include leadership for sustainable communities, political partisanism as a threat to societal progress, and leadership and disparities in twin cities.